Is the Cryptocurrency Space Dead? 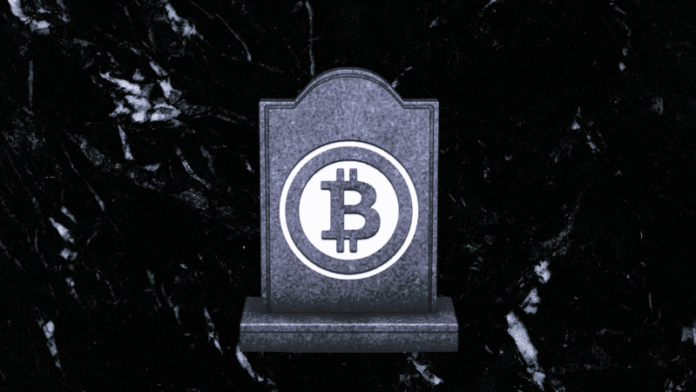 You are here: Home / Uncategorized / Is the Cryptocurrency Space Dead? It took less than a decade for bitcoin to evolve from a novice idea into a worldwide phenomenon. Thanks to the speculative frenzy that began in 2017, which saw the price of a single bitcoin peak around $20,000. That price has since retracted by about 80%, but there has been no change to its underlying value, and it’s safe to say that the most popular digital currency is now a legitimate financial asset. The same can’t be said for all cryptocurrencies, which is why the volatility of the past year was a blessing for the cryptocurrency space. The scores of initial coin offerings that popped up by the end of 2017 and the start of 2018 were filled with scammers trying to take advantage of investors hoping to get rich, and those that weren’t outright scams were often far from good ideas. In fact, 58% of all ICOs in the first nine months of 2018 either disappeared, failed to raise money or had to refund participants. Today, the wheat has mostly been separated from the chaff. The majority of the projects that have survived the current bear market are led by experienced teams working to apply blockchain solutions to real-world problems. As the space continues to mature, we’ll see more innovation, which will attract more sophisticated retail investors as well as institutional money. But challenges still lie ahead. Many cryptocurrency enthusiasts are pointing to security token offerings as a solution to both ICO fraud and persistent regulatory issues that have kept many would-be investors on the sidelines. STOs aren’t much different from traditional securities except that they rely on blockchain technology — specifically smart contracts — to make processes like paying out dividends or repaying loans more efficient. Unlike ICOs, which don’t give investors any rights to an underlying asset and don’t obligate sellers to follow through with anything at all, security tokens are tied to something tangible like business profits or revenue. However, STOs aren’t perfect. Sellers can still violate regulations if the security is resold to another party (in practice, once the token is acquired, the holder can do what they wish with it) unless the proper exemption is granted from regulators. Unsurprisingly, the U.S. Securities and Exchange Commission has yet to fully approve many of those that have filed. That said, the floodgates are open and it’s only a matter of time before cryptocurrency hits mainstream exchanges. Investors can already trade bitcoin futures on the Chicago Board Options Exchange and the Chicago Mercantile Exchange, and the Nasdaq has confirmed that it will be adding liquid indices in late February to track the values of bitcoin and Ethereum. The current crypto bear market may last well into 2019 (and perhaps even longer), but cryptocurrency is here to stay. If you’re an individual investor or leading a company that is looking to gain exposure to crypto — either by accepting cryptocurrency payments or by including it in employee compensation packages — here are three steps you can take to mitigate risk. Though lots of people were posing as experts in 2017 and the beginning of 2018, the reality is, there still aren’t tons of people who fully understand the technology underpinning many cryptocurrencies. It’s OK if you’re not an expert. However, there’s also plenty of information available on the real-world value of crypto as well as the financial benefits and risks. Take the time to read it. Especially if you’re going to be investing, you should know what a scam looks like; they’re not unique to crypto. You should know a little bit about cryptography in general, and you should definitely know that if you lose your private key, someone can’t just unlock your wallet. Likewise, if you’re not an experienced investor, you need to know what’s at stake. As with any investment, you should be willing to face losses. The need to diversify is just as important as with a 401(k) or personal retirement plan. And yes, you’ll have to pay taxes on gains and losses. Many of those holding bitcoin is still looking for legitimate locations to spend it. If offering crypto payments to customers, trade it to fiat immediately in order to reduce risk, unless you’re in it for the long haul. If you’re receiving payments in crypto, you should try to get your vendors to accept such payments, and cash out to fiat only the difference you can’t pay out in crypto. Otherwise, you’re not taking advantage of the real benefits digital currencies’ offer, such as faster and cheaper transactions. You could very well be breaking the law. If you’re looking to raise funds with crypto. They have teams of lawyers who will help you each step of the way. That doesn’t mean you don’t have to do your own due diligence. There will always be investment scams, no matter the investment vehicle. The meteoric rise of bitcoin’s price was largely driven by hype perpetuated by mainstream media, and many inexperienced investors paid a steep price for buying into that hype just as the crypto bubble was bursting. Ironically, the same “experts” who were calling bitcoin the next big thing in 2018 are asking if it’s dead in 2019. The answer, of course, is no. The next bull cycle likely won’t see bitcoin prices skyrocket past $20,000 (or even $100,000, as some analysts claim), but cryptocurrency has already proven its value — and its permanence.